Furniture designed to suit the unique needs of seniors. Purpose built for comfort and practicality, our products will have a positive impact on peoples lives. 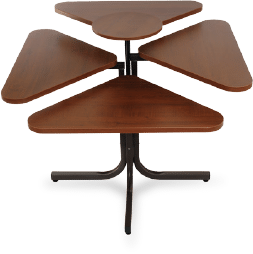 Take a look at our uniquely designed products, beginning with our Revolutionary Ergonomic Adjustable Tables. We bought two different models of adjustable ergonomic tables dining from MPTcan for our dining rooms in long-term care. Our residents love these tables! The table surface can be adjusted easily and accurately for the proper height and depth for each resident to keep internees in comfort and convenience, which contributes to a very pleasant dining experience. Residents with wheelchairs definitely appreciate having height adjusted to their comfort level and residents in the dining room chairs are also making use of this feature. 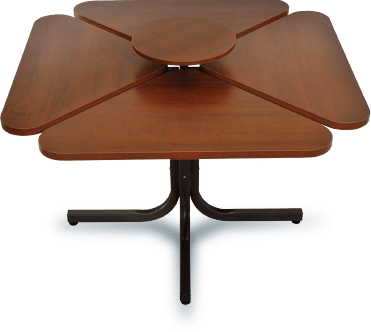 Our staff is also extremely satisfied with the design and functionality of adjustable tables at the dining room – easily accommodating the different preferences table height of residents seated at the same dining room table. Thank you so much for having a such wonderful product. Our residents and staff are so happy. The team of Tables Modulaires Positionnelles Inc. (MPTcan), inaugurated its new plant with covering an area of 25,000 square feet on March 15, 2016. Tables Modulaires Positionnelles Inc. (MPTcan) has acquired a new building in order to respond the increasing needs. We have added a wood’s effect of 2mm at the edge, so as, to improve the appearance of surfaces. Over 25 years of expertise make us the leader in this product's category. Our company invented the concept behind height adjustable tables for seniors. Our products are delivered ASSEMBLED so you do not have to worry about them. A variety of Edge Profiles and colours are available to choose from. We offer three standard Top Laminates and three standard Base Paint Colours. Our products are built to meet or exceed all safety and functional standards as mandated by governments and independent agencies.